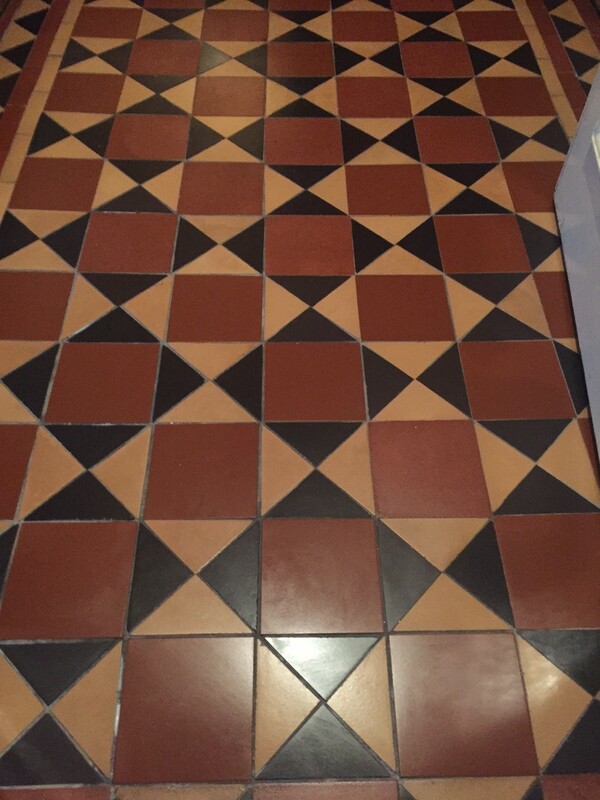 The Warwickshire team recently visited a customer in Earlsdon, a village near Coventry, who wanted a Victorian tiled floor rebuilt before being cleaned and sealed. 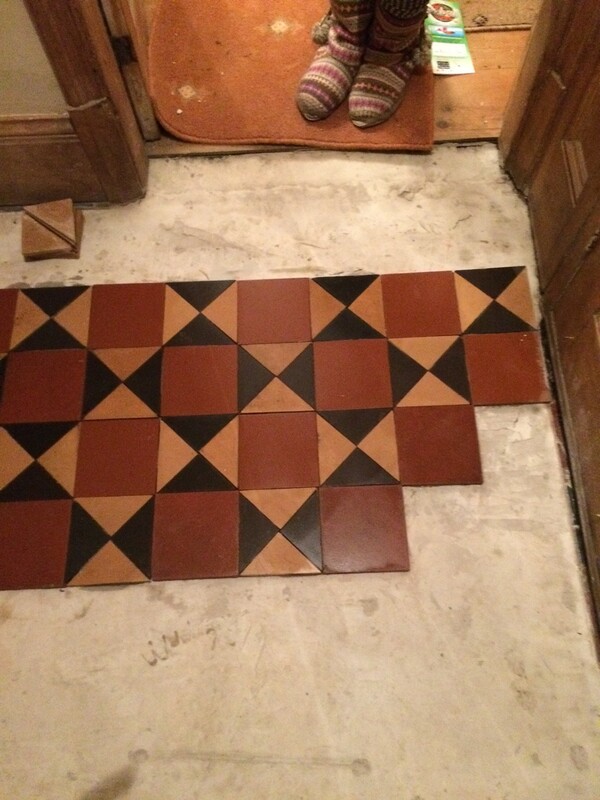 Sometimes our work goes well beyond simple cleaning and sealing services, especially when tiles are damaged, broken or completely missing however we have done several rebuilds before and always welcome a new challenge. 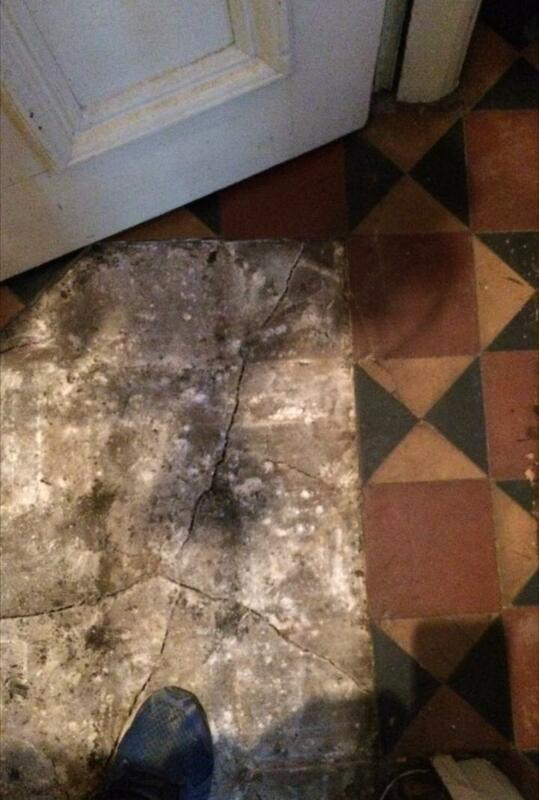 Upon closer inspection, I could see that up to 70% of the tiles were damaged in some way, and the screed was cracked from movement which given how old the house was may have been caused by the Blitz of Coventry during World War II, more than 70 years prior. 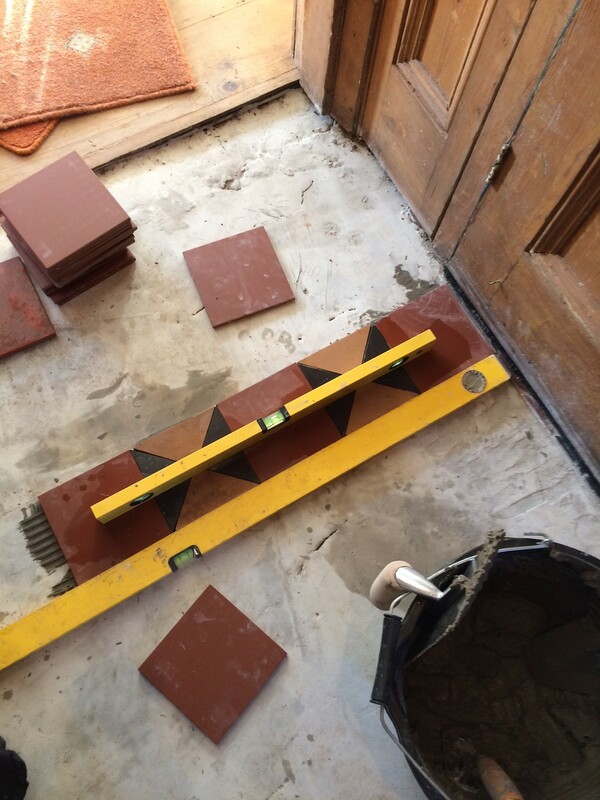 To begin the restoration, we had to remove all the tiles, determining in the process what could be salvaged and discarding any that were beyond repair. I happened to have a set of replacement Victorian tiles reclaimed from the floor of a local house and thankfully they matched perfectly. 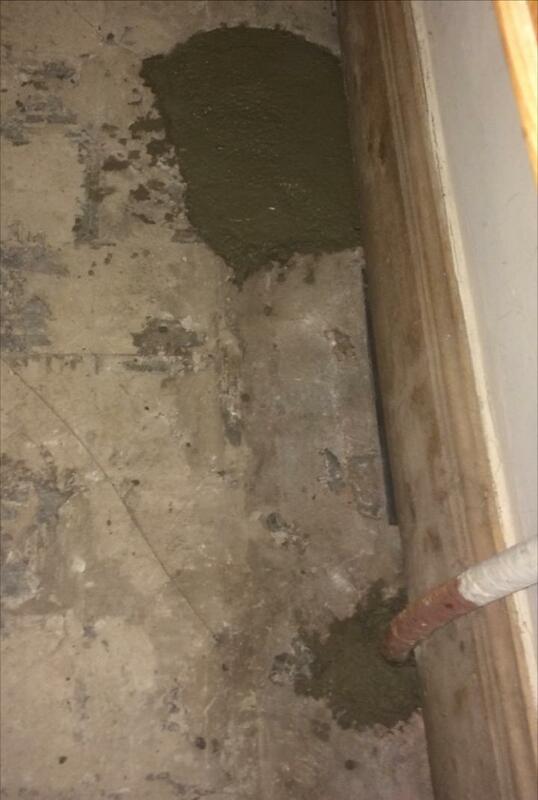 After stripping the floor of tiles the holes and cracks had to be filled and a new screed was laid to ensure the base would be level and stable. 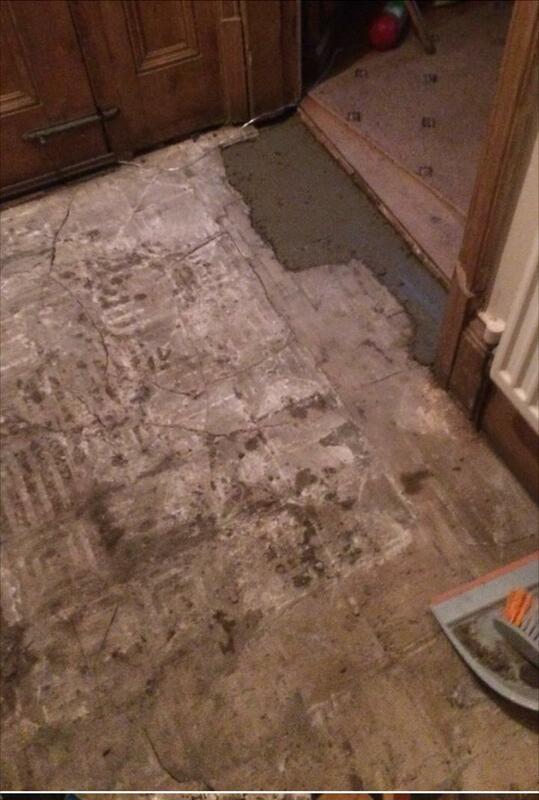 Once the screed had set we started fixing the tiles to the floor using a mixture of the original and reclaimed tiles. 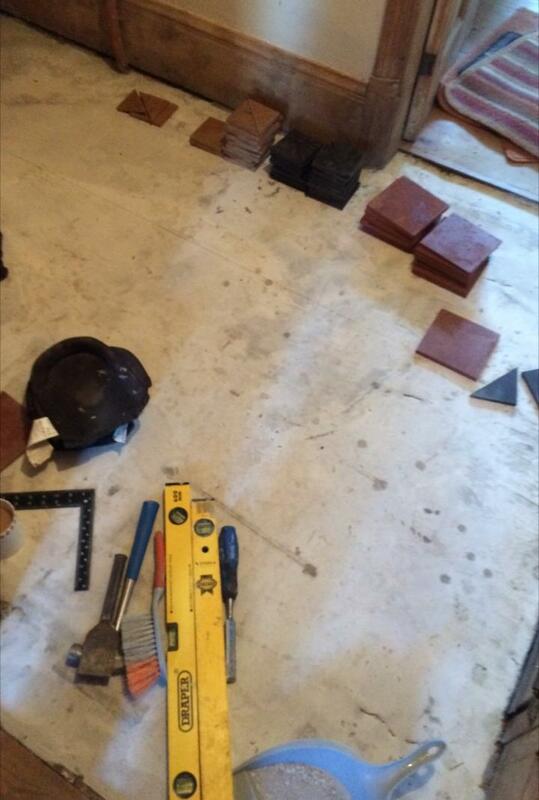 Once laid the tiles were grouted and by the end of the fifth day the floor was rebuilt. The next task was to give the new floor a deep clean which we did using Tile Doctor Remove and Go. This product is a heavy-duty stripper and coatings remover designed to tackle heavy soil build-up and remove old sealers in the process. The product was left to soak into the tiles and then scrubbed in using a black buffing pad fitted to a rotary machine. The soiled cleaning solution was rinsed off with water and extracted using a wet vacuum. The floor was then given a thorough acid wash using Tile Doctor Acid Gel, which is a blend of phosphoric and hydrochloric acids in an easy-to-use gel form. This helped to remove grout smears, efflorescence and mineral salts. Once clean, the floor was rinsed thoroughly with water to neutralise the chemicals, before being speed dried. Finally, we sealed the tiles using four coats of Tile Doctor Seal and Go Extra. This sealer is a special acrylic based formula which allows moisture vapour transmission and is ideal for old floors which do not have a damp proof membrane installed. 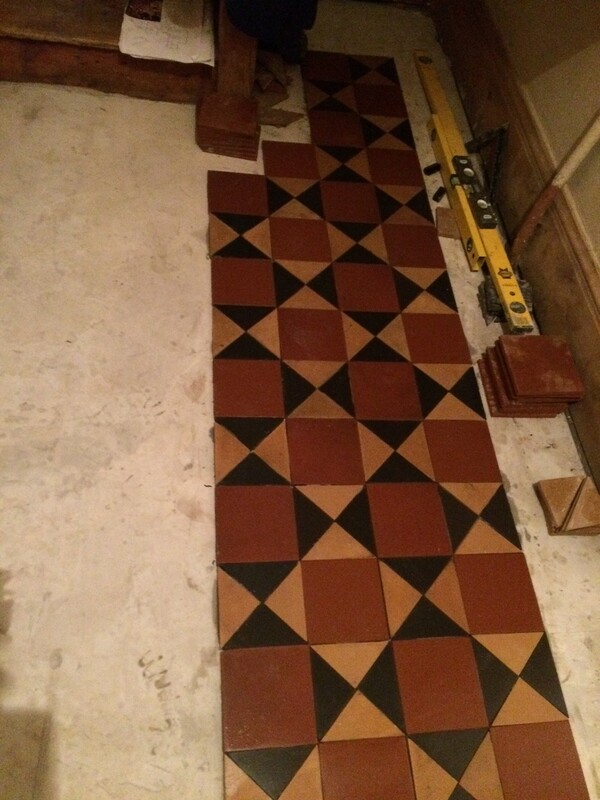 We were really pleased with the outcome and it felt rewarding to salvage this fantastic Victorian floor and give it a new lease on life after suffering significant damage. The customer was overjoyed with the fully restored original feature. 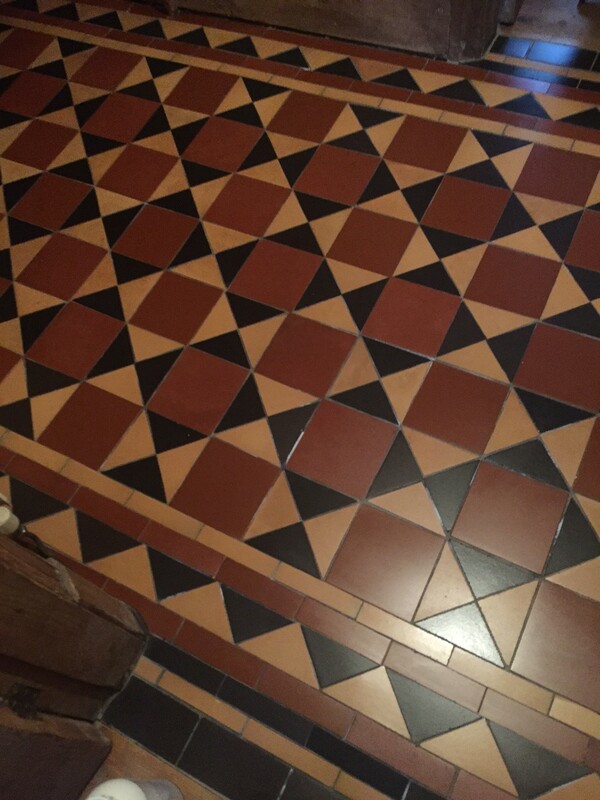 This entry was posted in Victorian Posts and tagged Earlsdon, tile cleaning, tile sealing, victorian tiles, Warwickshire by AbzDominise. Bookmark the permalink. Mick Gayton is an agent of Tile Doctor, the largest Tile and Stone cleaning network in the UK who have developed the products and techniques to handle a multitude of issues surrounding tiled Showering including stone and grout.